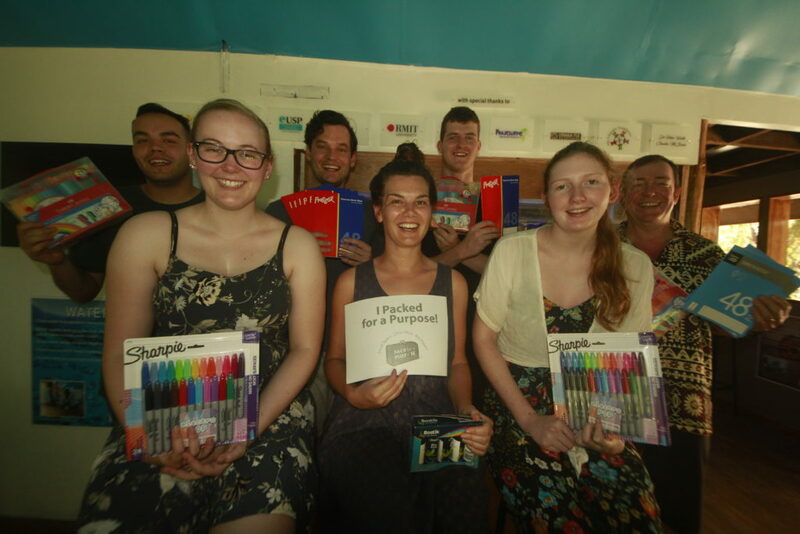 A group of university students from Royal Melbourne Institute of Technology (RMIT) in Melbourne, Australia visited Barefoot Manta in August. Led by Educational student Jess, the students managed to raise funds to buy supplies for the children of the Naviti District School in the Yasawa Islands, Fiji. When applying for one of 20 spots to come to spend two weeks at Barefoot Manta and Barefoot Kuata, Jess asked the question – how can I bring supplies for the local school at Naviti? She contacted the resort sales manager to ask what was needed most for both the primary and secondary school kids in the remote island schools, and was directed to Pack for a Purpose. It has given both the visiting education students from RMIT and the school children of the Naviti district a lot of joy in giving and receiving much needed supplies. Strong relationships are formed for life because of Pack for a Purpose and this will now be an ongoing project with RMIT students coming to Barefoot Manta 2-3 times per year.